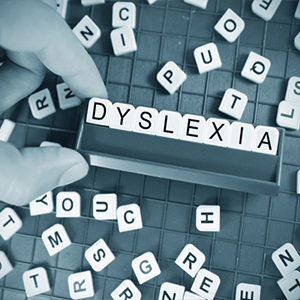 The term Dyslexia is used to identify the children with reading and writing difficulties and do not make expected progress in the academic field. Most of the students with dyslexia have trouble in understanding the letters on the books and when they have trouble in that step; all the other steps becomes harder. Writing - Most of the dyslexic students are good at explaining their thoughts but find it difficult in writing it down. Handwriting – they tend to have extremely messy handwriting as they tend to have poor motor control, tension of completing the work on time and many more. As you have understood the signs of spotting the kid with dyslexia, you must also know that most of the successful people with dyslexia have said that their success is largely due to the practical and emotional support they received from their parents. Don’t criticise them – The first step in helping them is by boosting their self-confidence before they can learn to overcome their difficulties. They have already experienced failure and deep down they often don’t believe they are capable of learning. To re-establish self-confidence provide the opportunity to succeed and give praise for small achievements. Don’t ask them to read the contents aloud - Avoid asking a student with dyslexia to read aloud in front of the class. However, if you really need to get the student to read, discreetly let them know the previous day what section they will be asked to read so they can prepare it. This can be quite embarrassing for them as they are very likely to misread or skip words. Don’t punish them for forgetting things – The students tend to forget things like books or sports kit so it’s better to write it down for them the previous day. Give the student a choice of what to read within selected genres, topics, and themes. High-interest reading facilitates comprehension and reading for pleasure. Explain dyslexia to your child. At the same time, motivate them with love and support which will help them to achieve success in their future.